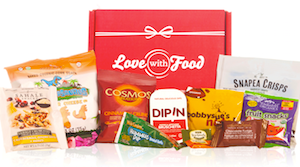 Home > Contests & Winners > Fun with Food > Winners of Love With Food January Contests! Winners of Love With Food January Contests! We sent some yummy, healthy snacks your way in January to help you kickstart your year in a wholesome fashion! And BronzeGoddess01’s unboxing video knocked our socks off! Congratulations, BronzeGoddess01! You are our Youtuber of the month of January 2015! Congrats also to Erin Hamm, the winner of this month’s Referral Contest. Find out how you can refer friends and family to subscribe for their own love with food boxes and enter win a Kitchenaid mixer this month! Our favorite #lovewithfood Instagram entry this month goes to Kaleigh Carin (@kaleighcarin). That tea cup made us swoon! What a terrific way to wind down after a long day. Both winners will receive an exclusive swag bag from Love With Food! Wanna be featured on Noshable and win exclusive prizes? 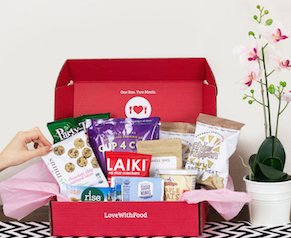 Snap a photo of you enjoying your FAV snack from our February box and tag it with #lovewithfood or film yourself unboxing the February Love With Food box and share it on Youtube! Happy Snacking!